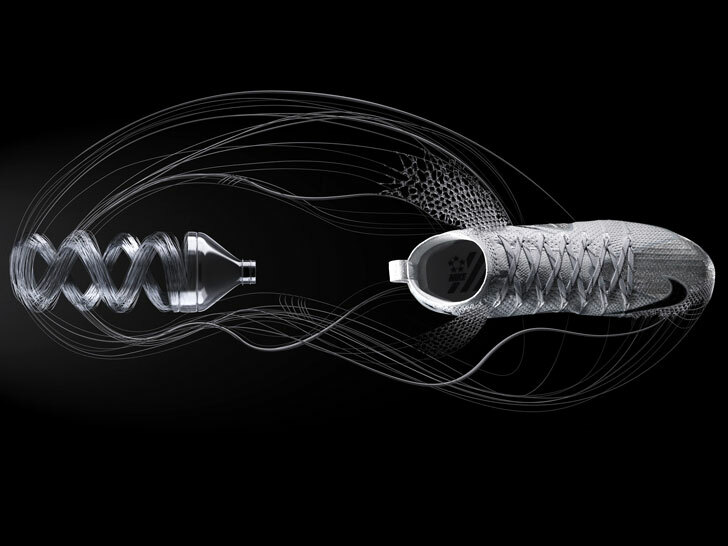 Nike has unveiled what it considers its most innovative football cleat to date. Designed to commemorate the first College Football Playoff, the “Vapor Untouchable” is the sportswear giant’s first cleat to incorporate recycled polyester. Each pair of shoes comprises the equivalent of five recycled plastic bottles, stitched together using Nike’s waste-reducing “Flyknit” technology. Coupled with other feats of engineering, including the supportive Carbon V-Plate, the Vapor Untouchable combines second-skin mobility with strength and durability, according to Nike. Want to see it in action? All four College Football Playoff teams will be wearing the Vapor Untouchable throughout the bowl season. Nike has unveiled what it considers its most innovative football cleat to date. Designed to commemorate the first College Football Playoff, the "Vapor Untouchable" is the sportswear giant's first cleat to incorporate recycled polyester. Each pair of shoes comprises the equivalent of five recycled plastic bottles, stitched together using Nike's waste-reducing �Flyknit� technology. 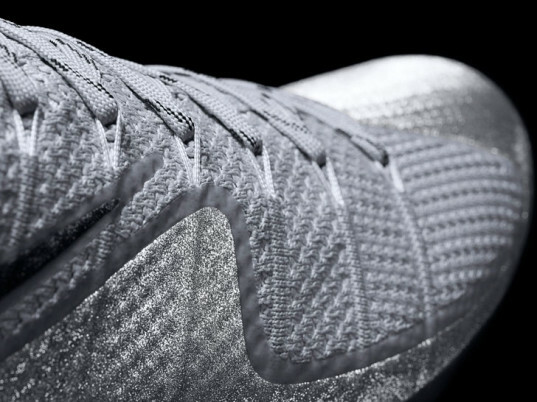 Coupled with other feats of engineering, including the supportive Carbon V-Plate, the Vapor Untouchable combines second-skin mobility with strength and durability, according to Nike.